In addition to our custom heavy duty tarps, A&R is also an authorized dealer and installer of Roll Rite® and Cramaro Tarpaulin Systems as well as our own truck tarps systems, including roll over systems for open top trailers. 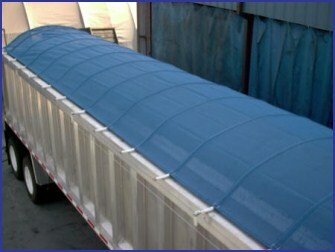 Our goal is to make life for truckers easier: We have many systems and tarping solutions to choose from so we can assist in making your tarp and truck cover decisions as easy as possible. 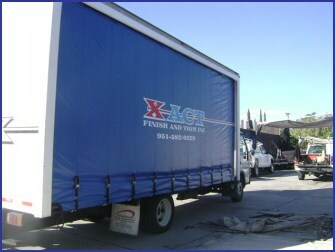 From the inception of our company in 1976 our primary job has been to keep truckers on the road, and we do so by meeting their needs with what we can provide: tarp repairs, heavy duty tarps, truck tarps and designed truck cover systems, made from U.S. Fabrics and quality backed by our ISO-9001:2008 registered standards. We also have many stock items for truck cover systems, we also have tarp repair services for any system that you may have. If you have an emergency repair we can often take care of it while you wait, depending on the extent of damage. Please call or contact us for an estimate. Our project managers are waiting to help you.